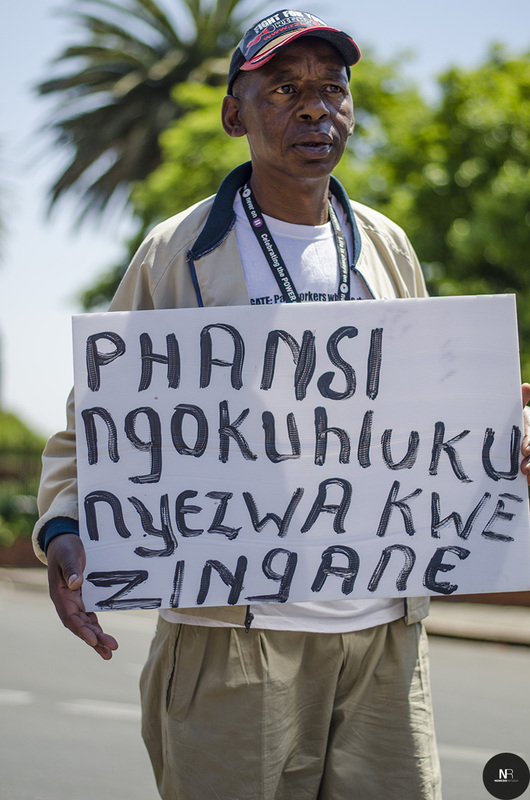 A member of the LGBTI community looks on during a march organized to protest against the violence committed against black gay and lesbian people who live under constant threat in marginalized communities around South Africa. – Johannesburg, 2013. A man carries a board which “down with child abuse” during a march organized by the LGBTI community. – Johannesburg, 2013. 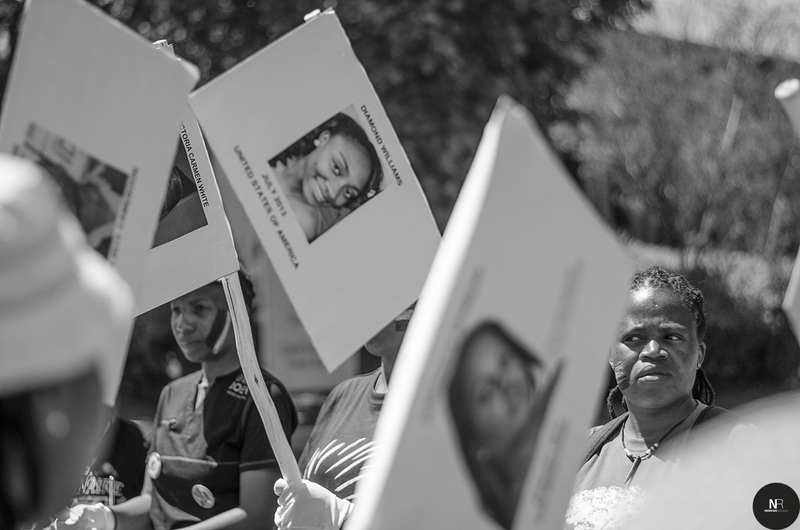 Marchers hold up placards commemorating people who’ve died in violence directed at black gay and lesbian people around South Africa. – Johannesburg, 2013.